Rich, organic cream of Sicilian pistachios and cane sugar. 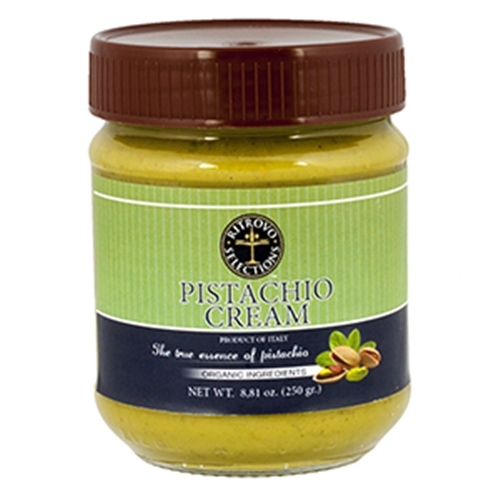 Well-suited for pastries, cake fillings, semifreddi, or gelati, this pistachio cream is the true essence of pistachios. Ingredients: organic pistachios, cane sugar. Product of Italy. 8.81 ounces.